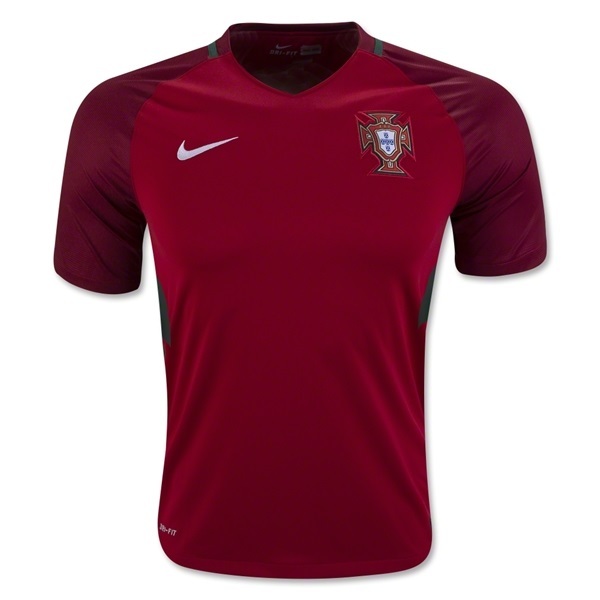 Portugal continues with a vivid red body with green accents for the new home jersey. The jersey has engineered fabric with Nike's DriFit technology which dries fast, it has raglan sleeves, and is composed of 100% DriFit polyester. The replica has a more relaxed fit then the authentic.